Wide Range of Brake & Clutch Parts:- We are leading brake parts manufacturer and we have housed variety of of brake and clutch parts. Our entire line of products are made using premium quality products having wide range of usage in automobile industry. 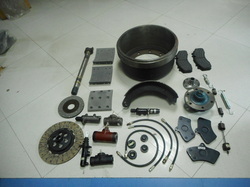 We are reputed clutch parts manufacturer. Backed by the assistance of our experienced professionals, we have been the best manufacturer and supplier of a qualitative range of Leyland Clutch Part. - In tractors, commercial heavy trucks and many more applications. Kongsberg Automotive produces and supplies the complete clutch actuation system for MT, including all components from the driver interface at the clutch pedal and down to the clutch lever. The components can be supplied as separate units, or completely assembled and pre-filled with fluid. We are a leading manufacturer and supplier of the Clutch Parts and hold immense expertise in this domain. These products can easily be availed by our clients at cost effective rates. Superior quality raw material is used in the manufacturing of these products which we procure from the renowned vendors of the industry. 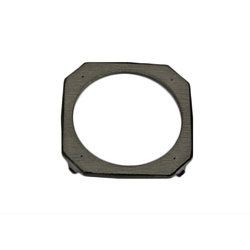 With a firm commitment to quality, we are involved in offering a wide ambit of Clutch Lever Pin GB40. Being a leader in this industry, we are devoted towards providing a premium quality array of Clutch Parts . Victora Tools Engg. Pvt. Ltd.
A2z Plunger Shaft Assy .